Make sure you download the SharePoint MP from Microsoft downloads and import it and not through SCOM otherwise you will not have the SharePointMP.config file which is required to configure the SharePoint Management Pack. 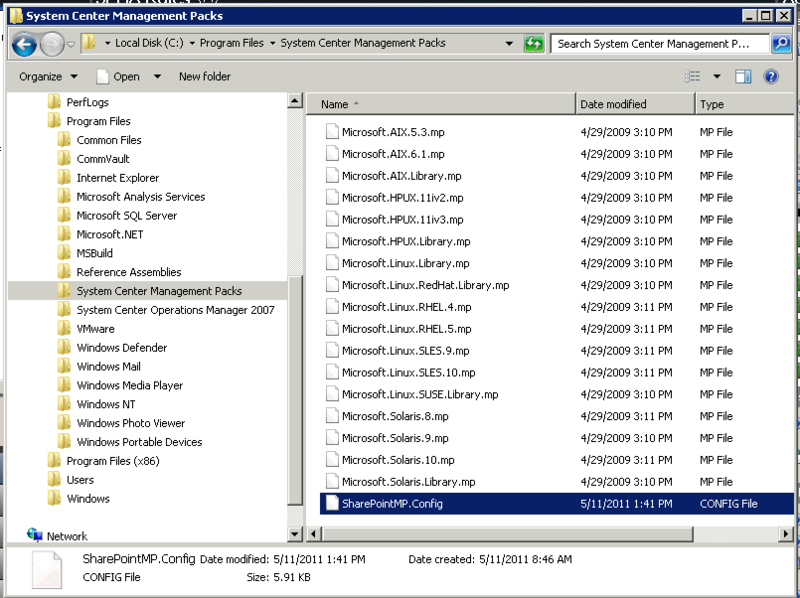 The configuration task expects to find the SharePointMP.config in the “C:\Program Files\System Center Management Packs” folder. Additional configuration is required to monitor the additional services in SharePoint Server. otherwise the configuration task will fail, it goes without saying that the account MUST be in the Farm Administrators Group. You start the configuration task in SCOM by clicking the link circled red below which will appear in the right sidebar when you have the “Administration” view selected under the “SharePoint 2010 Products” MP. a.) Made SCOM Action account a Farm Admin. b.) Turned Agent Proxy on for all SPS servers running SCOM Agent. c.) Config file has correct machine names in there. What account have you configured in your Run As? 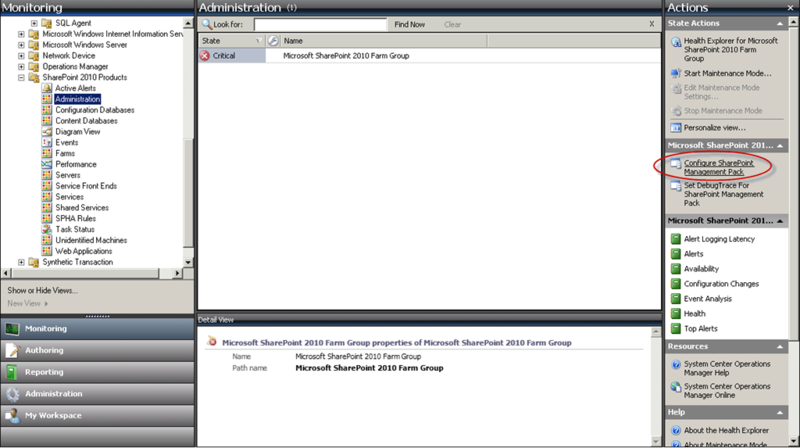 You have to make sure the SharePoint 2010 Farm Administrator Account used by SCOM is titled “SharePoint Discovery/Monitoring Account” as I have pictured above.